Visit www.companycasuals.com/texasbluebird for discounted pricing on TBS logo apparel including imprinted t-shirts and embroidered knits, denims, and caps. TBS makes no profit on the apparel. 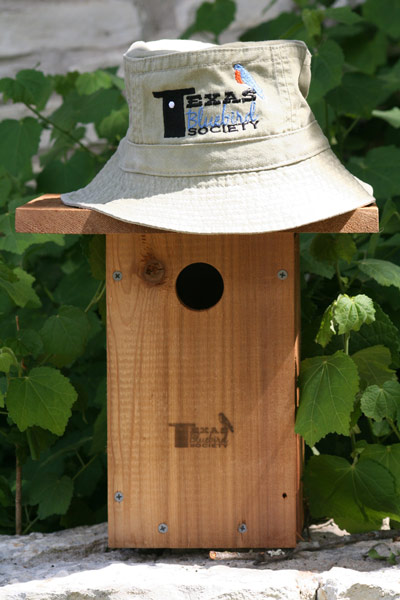 But, they're billboards for Texas Bluebird Society and bluebird conservation … across Texas! In other words, we do not sink TBS money into these items but they bring benefit to TBS (thanks to vendors willing to produce one-at-a-time for TBS members)! To order an item from www.threadsontheweb.com that does not appear in the TBS catalog, email Stacy at quotes@threadsontheweb.com. 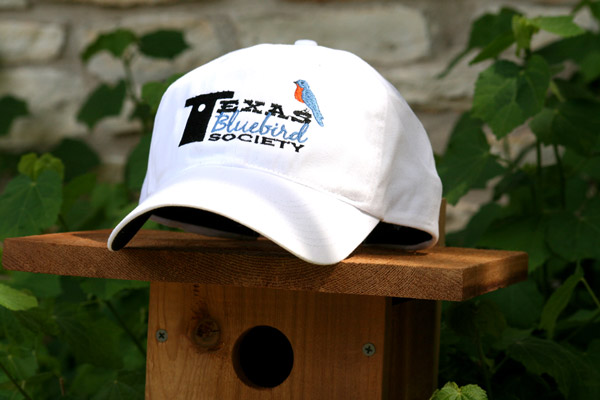 Include item#, color, and size(if applicable) and specify "Texas Bluebird Society logo." Stacy will email to you an invoice through a secure server that accepts credit cards.